According to the Washington Post, the University of Maryland today fired Steve Nordwall, assistant athletic director of athletic training, and Wes Robinson, the head trainer for the football program, after a lengthy paid leave for both men that began on Aug. 10, in the wake of reports about Terrapins football player Jordan McNair’s death from heatstroke. The independent Walters report also said that Nordwall failed to report McNair’s condition to his supervisor until an hour after he began to show symptoms. Heatstroke is not fatal when treated properly, but McNair was not loaded into an ambulance until more than an hour-and-a-half after he started showing symptoms, and he arrived at the hospital with a temperature of 106 degrees. 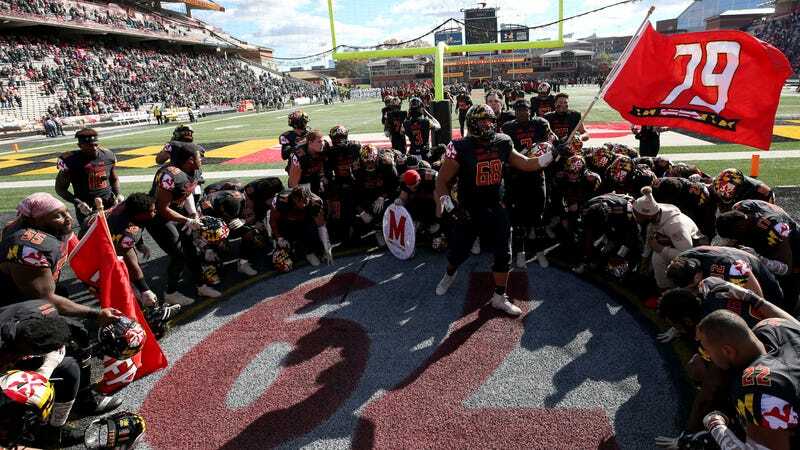 The Maryland Board of Regents who initially recommended that head coach D.J. Durkin return to the team also recommended last week that Nordwall and Robinson be reinstated, according to the Post, despite outgoing University President Wallace Loh saying that the failures the led to McNair’s death were the fault of “our athletic training staff, not the coaching staff.” Loh said in a news conference on Tuesday that the decision to retain or fire the trainers was one for new athletic director Damon Evans to make.